My husband is an avid fisherman. Any conversation with him eventually circles around to fishing. He'll share stories of fishing with his dad, like waking up early, packing sandwiches for a long day at the lake and falling asleep on the return trip home. Nothing's changed. That little boy grew into a man who loves going fishing Spring, Summer, Winter and Fall. He's gone fishing in lakes, ponds, streams and oceans. 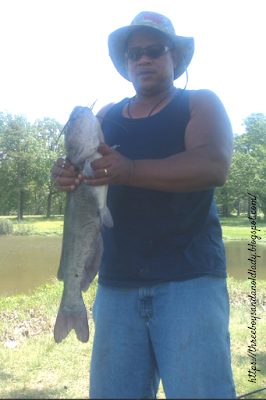 His love of fishing is undeniable and his knowledge of all things fishing is uncanny. Each year hubby's job hosts a fishing derby for youth. It's the one work day he looks forward to. The local pond is stocked with catfish and the kids spend the entire day on the lake fishing. The kids are provided with rods, reels and bait. For many of the kids, it's their first time fishing and there's nothing like the excitement of catching that first fish. Hubby is really patient and the epitome of the Chinese proverb "Give a man a fish and you feed him for a day. Teach a man to fish and you feed him for a lifetime." 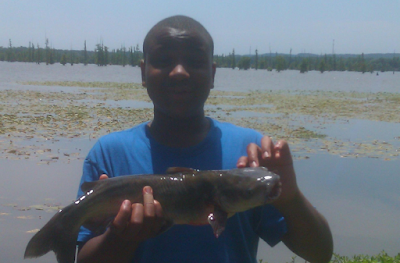 He works with the kids to help them identify which bait to use to catch certain types of fish. He knows fishing and was glad to offer tips for fishing with kids. Fishing is a lesson in patience and it's important to remind kids sometimes the fish bite and sometimes they don't. Make sure you have the proper gear: a pole and fishing line are essentials but if you're fishing on a boat, you'll need a life jacket. A floating bobber helps little ones see if they're getting a nibble but again patience is key in reeling in the big one. Find a great spot. Some fish like to hide in grassy areas; others like deep dark spots. 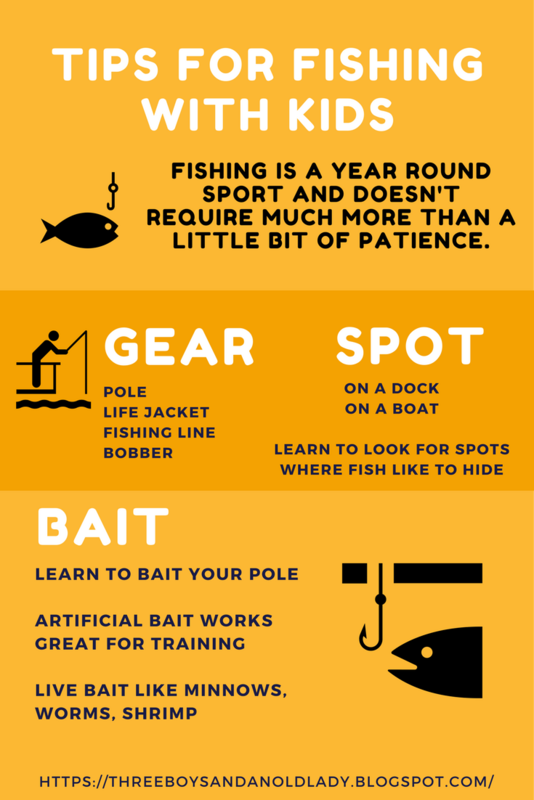 Lastly, choose your bait and learn to bait your pole. Live bait like minnows, worms and shrimp can be awkward for younger kids and adults may have to assist with baiting the line. Artificial bait like the ones found in the Mystery Tackle Box are colorful and kids will have fun learning which types of bait to use to catch different types of fish. Mystery Tackle Box is a subscription box for the person who loves to fish. 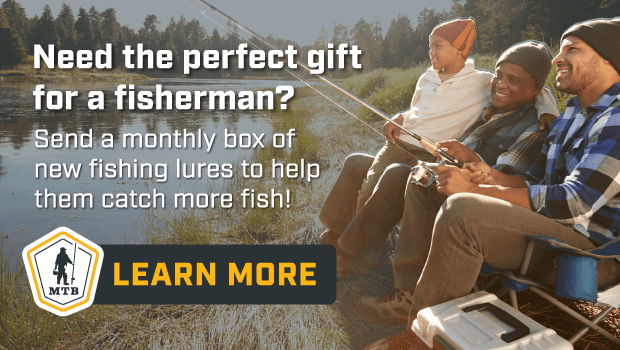 Each month subscribers receive a box filled with special items, tips and more designed to catch specific fish. So if ice fishing is your thing, you can select a box full of tips and supplies for that season. 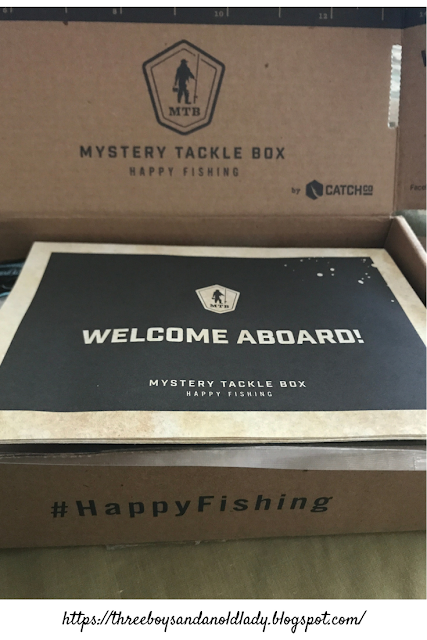 The box is pretty neat too as it doubles as a tool for measuring the size of the fish you catch. So you've got your fishing pole, your line and your bait so now all you have to do is find the perfect spot and go catch 'em. 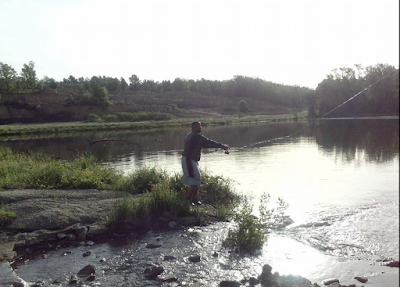 When's the last time you went fishing? Did you fish in a lake, a pond, on a boat, on a dock?